TED Talks needs no introduction. We have seen the likes of Bill Gates, Al Gore, Jane Goodall, Elizabeth Gilbert, SIr Richard Branson and Nandan NIlekani share their stories, ideas with the world that has inspired millions. “Ted Talks has always been my source of inspiration. My favourites are the presentation of Steve Jobs and Architect Carlo Ratti,” says Architect Chenthur Raaghav, Co-Founder of AplusR. Life is indeed a beautiful surprise for Chenthur Raaghav, who is the first Coimbatore born Indian Architect to present at TEDx Vienna. A platform that he has taken from, is also a platform that he has given to. An Architecture student from Anna University, Chennai, amongst many other schools–Raaghav is inspired by the works of Architect Carlo Ratti. “This is my second TEDx presentation , So I was prepared for the storm ! In 1984, Richard Saul Wurman, an architect brought leaders and influential people from all walks of life–mainly from spheres of Technology, Entertainment and Design, and challenged them to give the ‘talk of their lives in 18 minutes.’. The idea was to make the complex simple, and to make interesting information accessible. The effort was in the form of a video — TED.com. The ideas and the contemporary touch to solutions and problems were lapped up by the millennials who have a mercurial attention span. TEDxVienna On The Edge is a sign of the times – themes, problems and risks that affect and shape the world today. 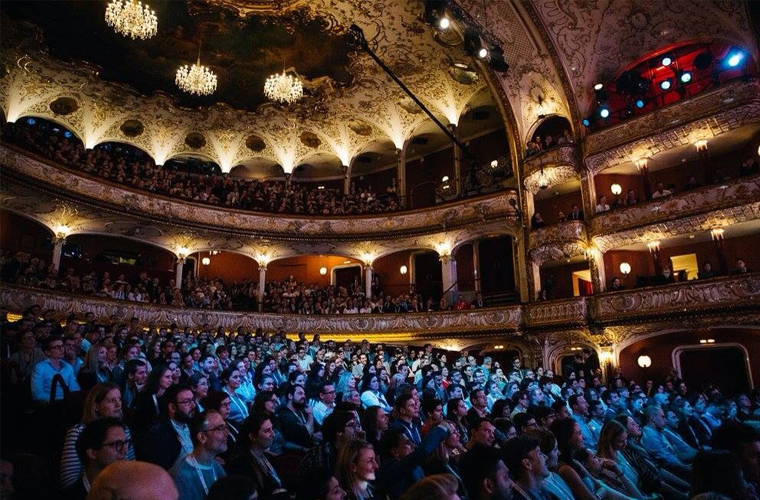 At this year’s TEDxVienna Main Conference, more than 1,000 visitors came to the Volkstheater to discuss, discuss and “Ideas worth spreading” on “On The Edge”. 20 international speakers, as well as five performances, were invited to encourage the visitors to go to their borders and break through the past. “We are living in the age of digital world , where we constantly adapt ourselves between technology and nature . Right now the architectural scenario has been designing for the visual impact , we have failed to address or innovate for the future. The next moment would be to take a step beyond the edge further extending our boundaries,” says Raaghav. He adds, “In architecture, living on the edge would mean to habitat buildings and cities which are interactive with the user and responding to the environment. For Instance,Technology could closely collaborate with humans to achieve excellence in fabrication and design . His talk emphasised on Smart City Coimbatore and other research projects from 3d printing low cost housing for homeless people in 24 hours to how to cut down air pollution through Architecture. “I spoke about the Design Research for 2035 on How Coimbatore has to be designed understanding the future population ,traffic intensity, pedestrianisation, open public green spaces, contributing to a self-sustainable neighbourhood.